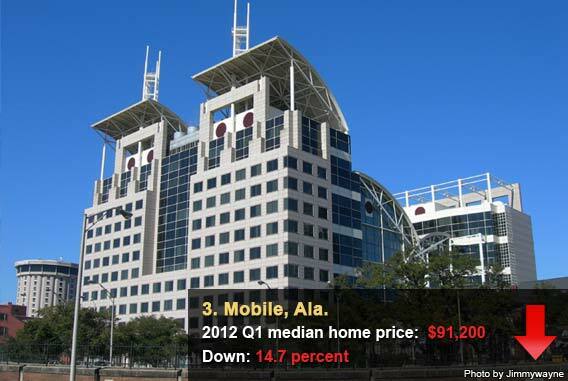 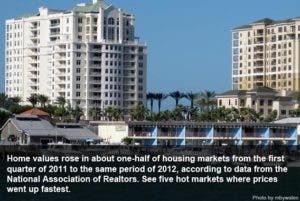 Source: NAR, comparing Q1 2012 to Q1 2011. 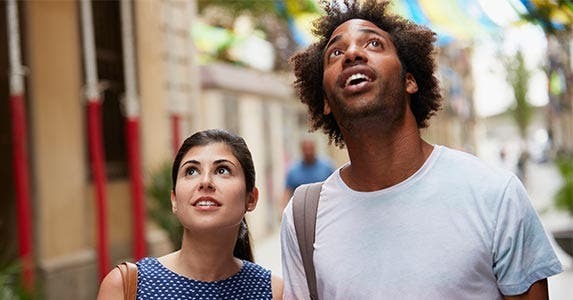 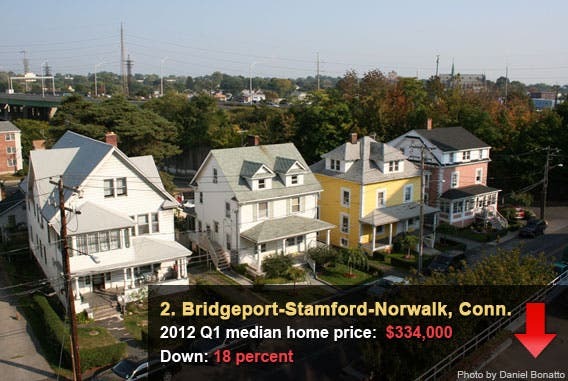 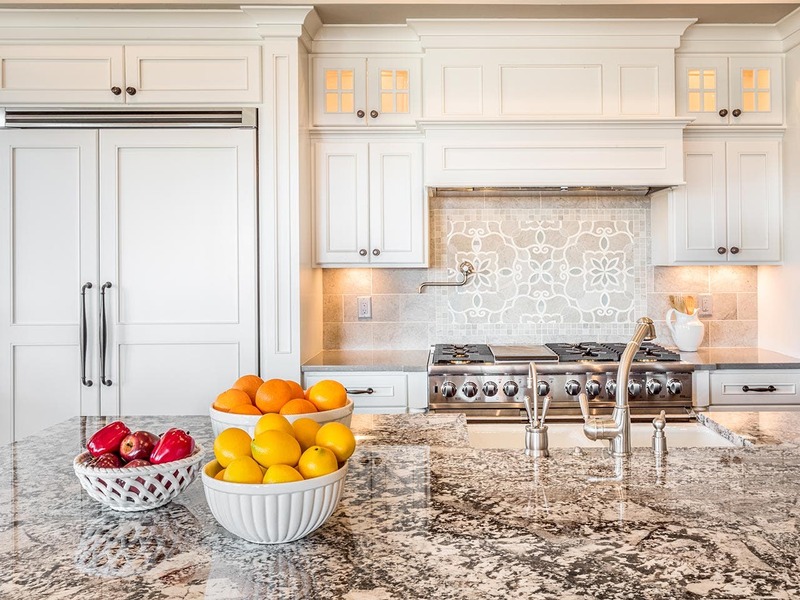 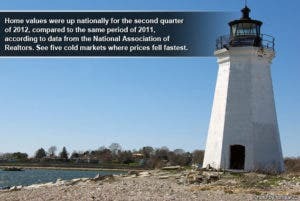 Home values were a mixed bag — falling in half of the markets and rising in half of the markets — from the first quarter of 2011 to the same period of 2012. 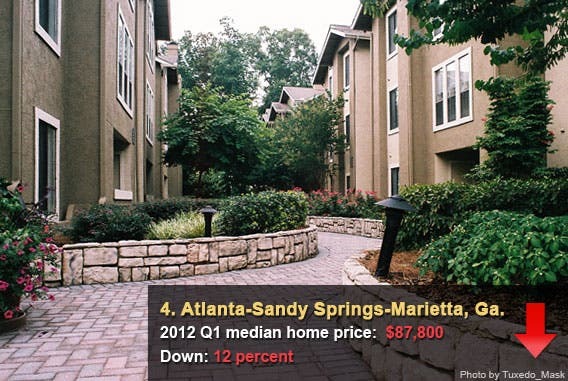 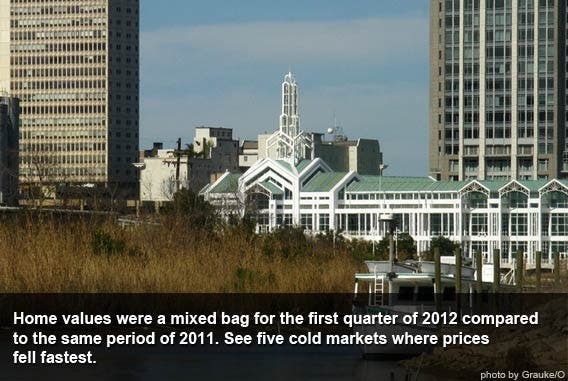 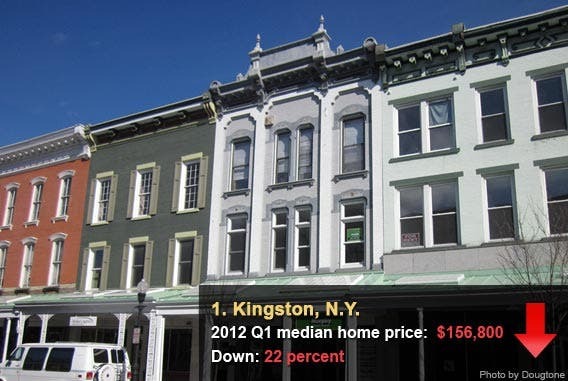 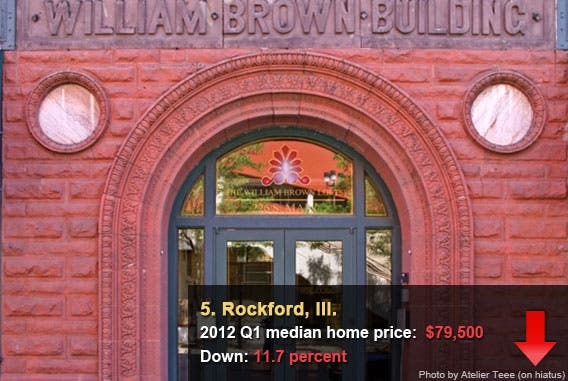 See five cold markets where prices fell fastest.